Cathi received her Bachelor of Science in Education with a major in Library Science from Millersville University, followed by a Master of Library Science from Drexel University and her Doctor of Education in Educational Leadership from the University of Delaware. 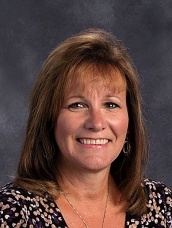 She has worked within Hempfield School District for 21 years, and has been the Library Department Supervisor for 16 years. She serves on numerous district-wide committees and works with fifteen other content-area supervisors and department chairs to integrate information literacy into all aspects of a student’s education. Cathi develops and leads many staff development opportunities at all levels for teachers, administrators and librarians. She serves on the district’s Technology Task Force, the Professional Development Committee and the Secondary Tech Leaders Committee. Cathi also has served on the board of directors for the Pennsylvania School Librarian’s Association and continues to serve on their legislation committee. Previously she was an adjunct for Mansfield University, School Library and Information Technologies Program and has served on several dissertation committees at Immaculata University. Cathi’s Lilead Fellows Program goal is for librarians in the Hempfield School District to be leaders in the implementation of inquiry-based learning through the 1:1 deployment.